Our healthcare team has been on the frontlines fighting Trumpcare for months and hasn’t let up since the Senate failed to pass a healthcare bill in late July. 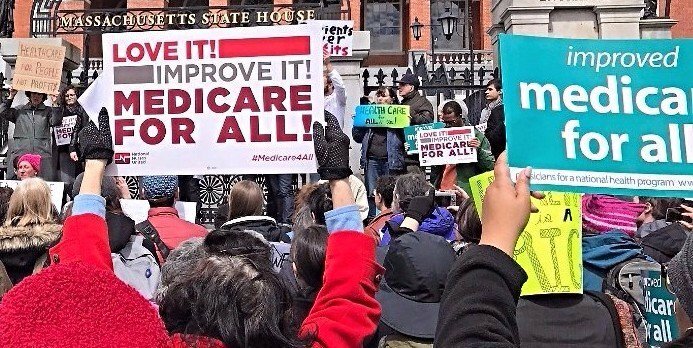 They’re organizing into sub-teams to focus on a variety of issues including Trump’s administrative sabotage of the ACA, MA healthcare funding and initiatives, and Single Payer healthcare proposals. Members have visited our MoCs and state officials, attended a variety of local and state healthcare panels to get the most up-to-date information and network with other activists, and are organizing their own exciting healthcare forum in early October in conjunction with Harvard Medicine Indivisible. Here are some of the things they’re working on that you can get involved with. 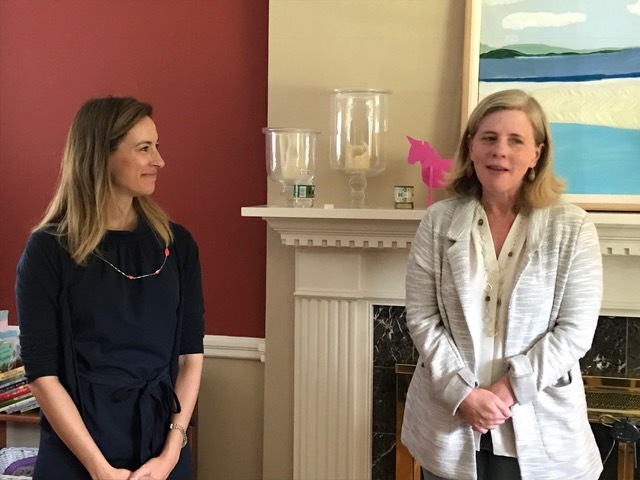 Senator Jaime Eldridge, Representative Jen Benson and the Masscare Coalition spoke. Trumpcare is Back for a Third Time with a New Name! Please CALL your MoC and ask them to vote NO on the new Graham-Cassidy bill! The Senate must act by September 30, so please call right away. (1) Graham-Cassidy allows states to opt out of the ACA (ObamaCare) regulations. (2) Medicaid and subsidy funding would be cut. (3) Block grants would be given to states – these block grants include funds for Medicare as well as any marketplace subsidies. States can put the money into any health care system they choose. More information from the Indivisible Team is available here. Save the Date for our October Healthcare Forum! We’re excited to announce we’ll be sponsoring a forum on Single Payer Healthcare in conjunction with Harvard Medicine Indivisible. 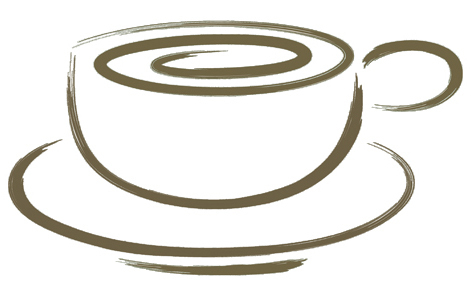 The date is Monday, October 2nd and it will run from 7-9pm at the First Parish Church, 7 Harrington Road, Lexington. Hope to see you there! Call the Governor’s office (617-725-4005) to thank him for his testimony and urge him to continue to fight to protect affordable healthcare for all Massachusetts residents. 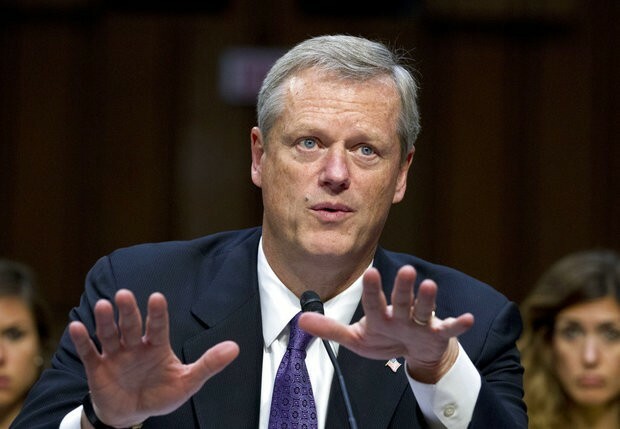 A video and full transcript of the Governor’s testimony is available on mass.gov or you can read coverage of his testimony in the Boston Globe or WBUR. Thank you to everyone who joined us for the first Minuteman Indivisible Book Club meeting in August! We had a lively and thought-provoking discussion about On Tyranny and look forward to hearing what you have to say about the books we’ll be reading this fall. 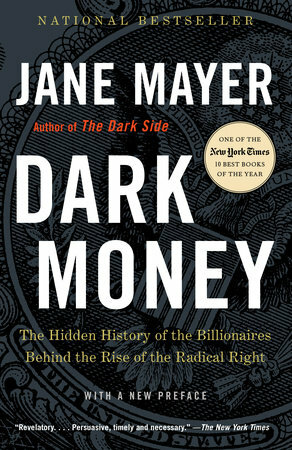 If you can’t make the September meeting, we hope you’ll join us later in the fall when we’ll be talking about Dark Money by Jane Mayer and The Third Reconstruction by the Reverend Dr. William J. Barber. 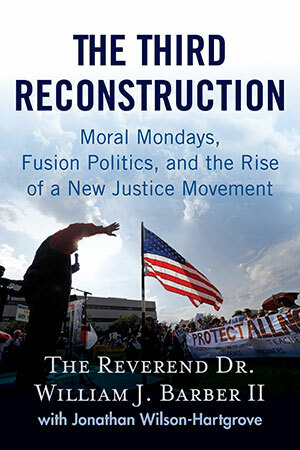 We plan to discuss the two books together over multiple sessions. The MI Elections Team co-hosted a successful fundraiser "Bagels with Mikie" on Saturday 9/9 that raised over $4100! Mikie Sherill is one of the elections team's selected candidates and she was in town for an event sponsored by Rep. Seth Moulton. She's endorsed by Emily's List and the DCCC. 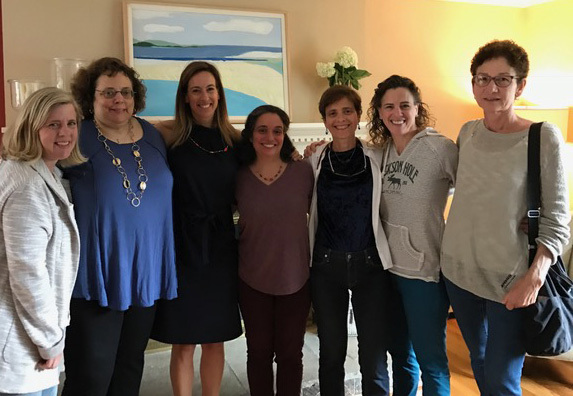 We met her, her team, and heard how the congressional race in the NJ 11 is shaping up. To learn more about Mikie's campaign and why we are supporting her, see our writeup on our webpage. If you couldn't make it on Saturday but would still like to contribute to her campaign please do so using our form! We'd love to close out our first campaign for Mikie at the $5K mark. The Raise Up Massachusetts coalition is working to place questions on the November 2018 statewide ballot to raise the minimum wage to $15 and to establish a program of universal insurance for paid family and medical leave. Volunteers will begin collecting signatures weekly in Lexington Center starting on Saturday and Sunday, Sept. 16 and 17. If you're interested in helping out with the signature gathering effort (or simply in getting more information about these campaigns), please contact Margaret Heitz at heitz.up@gmail.com or Peter Enrich at penrich@rcn.com. Newton North High School, 457 Walnut St. Senator Markey will be holding a Town Hall discussion on climate change, immigration, health care, the opioid crisis, and next steps for Massachusetts in a Trump administration. Doors open at 5:30 - get there early to avoid being disappointed. For more information see the Facebook page for this event. We the People is an organization dedicated to overturning Citizens United. MI has been invited to come to this We The People meeting to give a 20 minute talk about the origins of the Indivisible movement and some specifics of Minuteman Indivisible. Come learn more about both MI and We the People. Please join us for the next Healthcare meeting. The House and Senate repeal and replace healthcare drama is back snd administrative sabotage of the ACA continues. We will be kicking off our healthcare advocacy efforts for the Fall and look forward to welcoming new members, or welcome back old members. At this meeting we will break into focus areas such as defending the ACA against sabotage, bi-partisan efforts to improve the ACA, single payer, or whatever other topics are of interest to the group. 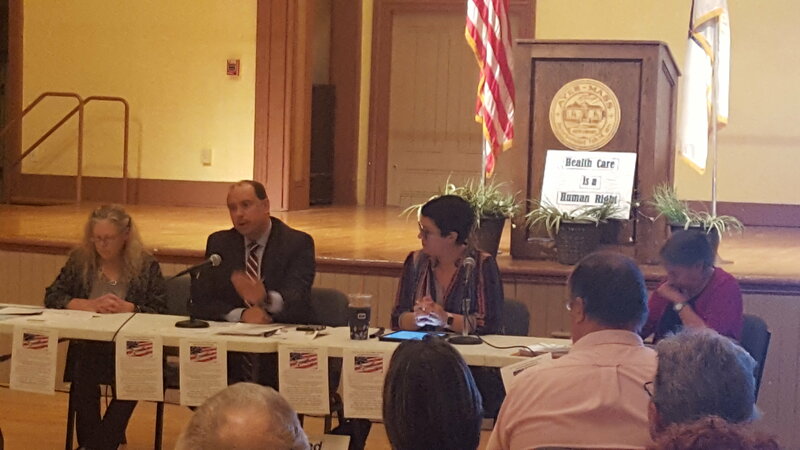 We’re sponsoring on a forum on Single Payer Healthcare in conjunction with Harvard Medicine Indivisible. and are finalizing a great group of panelists. Look for more details in upcoming issues of the Muster. Find out the latest status of the teams and what actions are planned at our fall quarterly meeting. Join us as we discuss the latest about RussiaGate, Immigrant Rights, and social justice issues. Help us plan our actions for the coming month. As we are going into high gear for 2018, MI Elections has picked five candidates to support and we are actively recruiting for our "action teams". Do you Facebook or Tweet? Sign up for our Social Media team. 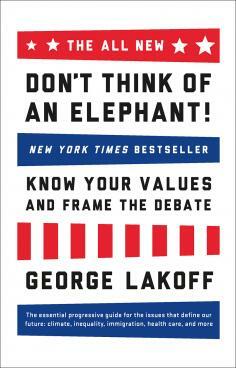 Our Research team will be doing opposition research on incumbent. The Fundraising team will be organizing events similar to the "Bagels with Mikie" and Regina Bateson parties held earlier this year, as well as facilitating online donations. We also have Postcarding, Texting and Phone-banking teams. Finally, we need a graphics team! Do you know Photoshop? Put it to use electing a democrat to the house. These are not huge time commitments and can mostly be done on your own schedule. Please sign up with our Elections Team Volunteer Form . Sunday, September 17th is Constitution Day which celebrates the signing of the Constitution by the Founding Fathers on September 17, 1787. 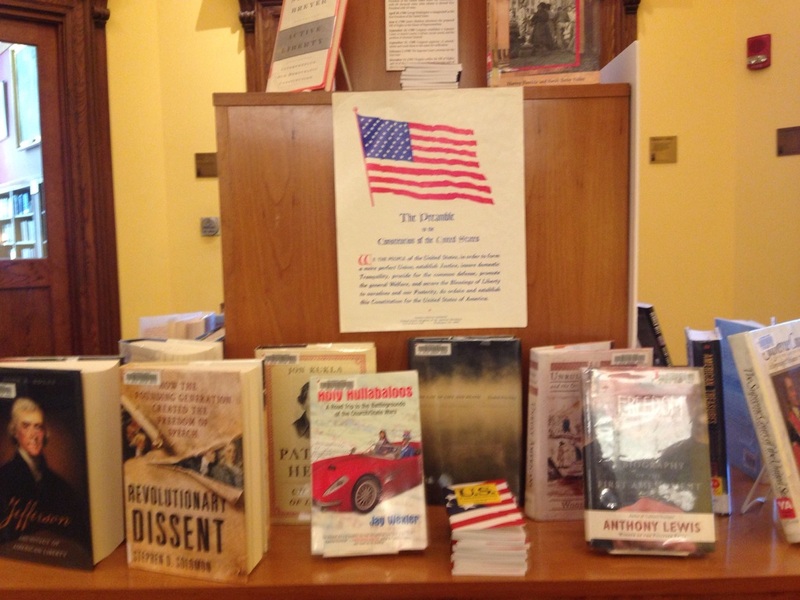 Lexington's Cary Memorial Library has a display and selection of books about the Constitution by the main door on Mass Ave. 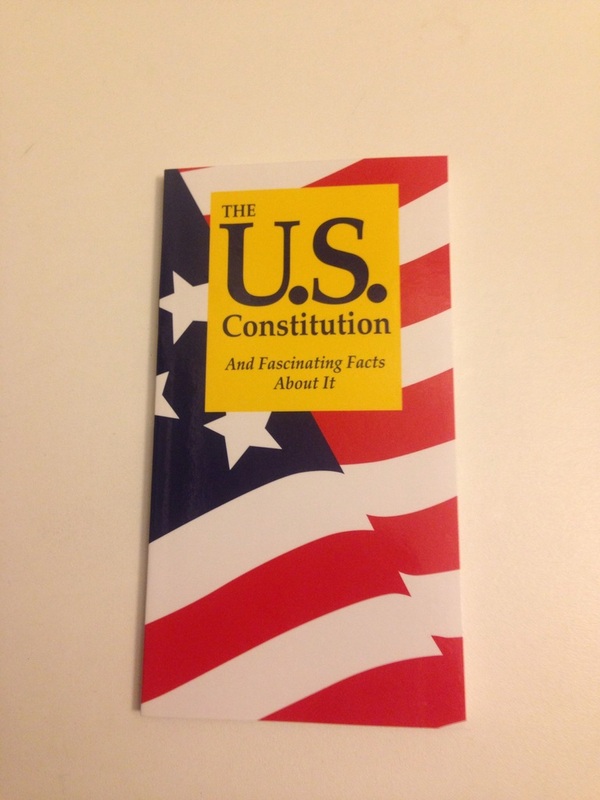 Check it out and pick up a free pocket copy of the Constitution while you're there. At the hearing last week, we got to listen to Secretary Galvin present S.365, possible legal challenges, and why the bill should prevail. Read all the interesting details here. First I’d like to thank Governor Baker for his recent comments condemning white supremacy and neo-Nazism after the events in Charlottesville. Massachusetts has been a trendsetter on equality, and I’d like to urge Governor Baker to exert his influence within the Governor's Council to pressure the Trump administration to also condemn the rise of white supremacy and unfreeze 10 million dollars in funding for groups to counter violent extremism in the U.S. 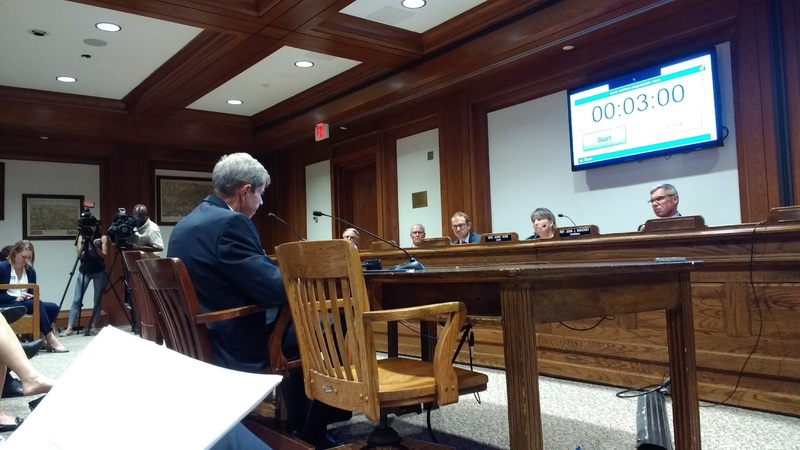 I would also like to thank Governor Baker for his testimony to the Senate Committee on Health, Education, Labor, and Pensions. I urge him to continue to fight to protect affordable healthcare for all Massachusetts residents and to NOT cut MassHealth. It’s a very popular program, and vital to our state. Next, I would like Governor Baker to reconsider his policy on immigration - this immigration detainer bill is unacceptable, and he needs to support the Safe Communities Act if he wants the support of his constituents in his upcoming election. Lastly, I’d like to urge Governor Baker to demand an independent commission and keep putting pressure on the Russia investigation. I saw an article in the Boston Herald this spring that he made a public statement calling for an independent investigation, which is great, but can you tell me what else he's doing to keep the pressure on for an independent investigation? Please pass this information on to the Governor and thank you for your time. We are thrilled to announce that we are now on Instagram (our handle is "minuteman_indivisible")! We know our members are working hard on a wide variety of issues and spending time at town halls, protests, MI working meetings, and other events. We'd love to feature your photos in our newsletter, on our website, and on social media - just email them to communications@minutemanindivisible.org.